Today we’re feeling like an escape. A year ago, after an epic death bang finish to his MFA, the Literary Man traveled to recuperate for a few days in the Florida Keys, one of our favorite literary spots and home to Hemingway’s famous cats. To get to this magical place, you can no longer arrive via boat from Cuba like Hemingway, but you can fly into Miami and drive the historic road through swamps and islands. Driving along with the windows down over the Seven Mile Bridge quickens your pulse and makes you feel free, somehow more alive. 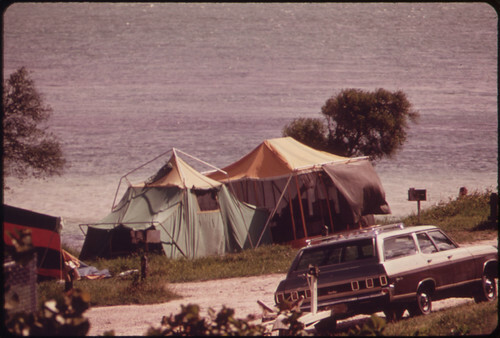 Staying in the keys is expensive, so we recommend packing a tent, handles of rum to ward off mosquitoes, and piles of books, paper, and pens and camping in one of the State Parks along the Overseas Highway. Bahia Honda State Park, one of our favorites, has campsites nestled in the trees looking out toward the sea. We know the Keys will bring you inspiration, but if you’re looking for more than the beach, rum, and muggy heat will give you, we suggest driving all the way down to Key West, and visiting the home of Papa Hemingway himself. 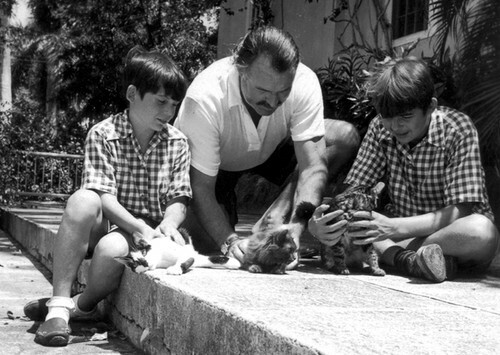 At the Hemingway house, you’ll find descendants of the original six toed cats, his studio with the typewriter still sitting on the table, and the penny that he stuck into the wet concrete around the pool to protest its exorbitant cost. You’ll feel the cool breeze from the ceiling fans and smell the sea in the air encouraging you to write…write…write.  Archived in Iconic Literary Men and tagged Bahia Honda State Park, Camping, Ernest Hemingway, Florida Keys, Key West, literature, Seven Mile Bridge, Six toed cats, writing. Bookmark the permalink.